This update to NIDA's Research Training Brochure provides the latest information on training and career development grants that aim to provide such support. NIDA. "Research Training at NIDA." National Institute on Drug Abuse, 1 Jun. 2010, https://www.drugabuse.gov/publications/research-training-nida. NIDA. Research Training at NIDA. National Institute on Drug Abuse website. 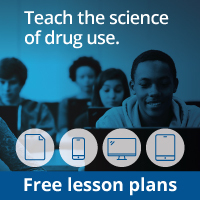 https://www.drugabuse.gov/publications/research-training-nida. June 1, 2010.